Our Autodesk 3ds Max 2013 training tutorials are designed for visual effects artists, game developers and graphic designers who work in the film, television and games industry and are interested in improving their skills. 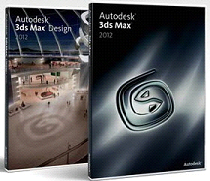 Autodesk 3ds Max Design is primarily used by architects, designers, engineers and visualization specialists. Our training covers both 3ds Max and 3ds Max Design 2013 softwares, taking each student from beginner to intermediate, through advanced levels of the course. With over 15 hours of training and more than 250 separate video based lessons, our tutorials will teach you how to get started using the various 3D modeling tools, as well as assembling and lighting scenes, through rendering and scripting. No matter what your level of skill, our training course will help to improve the quality of your work and your productivity to help you meet your deadlines . A training specialist since 1998, Steven Schain was one of the first certified instructors and a co-developer of the ACI program, which gives instructors the global recognition of Autodesk certification In addition, Steve is an author and contributor to over a dozen publications.